Please download your FREE eBook here. In this eBook you will find the 3 secrets I used and I escaped my 9 – 5 job in 5 months! This eBook will also be emailed to you shortly. If you have not received your email within the next 5 minutes, please check your junk email. You should be proud of yourself! You’ve already taken your first step towards creating the life you have always wanted. You’ve already one step ahead of everyone who hasn’t taken any action! 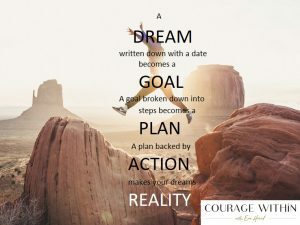 If you are ready to step up and and take action to make your escape a reality, you might be interested in enrolling onto my 3 month personalised Escape 9 – 5 Programme. Book your FREE, non-obligatory 45 min discovery call here to find out more about the programme and to discuss your next steps towards your escape. Also join my Facebook Page here where I regularly share useful materials to help you successfully transition from your 9 – 5 job to having a business that is aligned with who you are, your passion and purpose. DREAM BIG, DON’T SETTLE and TAKE ACTION NOW!